Port Townsend, today. 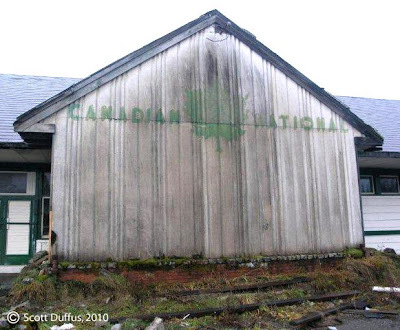 An associate Blogger in Prince Rupert, Scott Duffus, sent along a series of photos of the Canadian National Railway station in Kitimat, B.C. Absolutely knocked the wind out of me. The Station was painted a muted green and gray combination, which really looked nice in its wilderness site, 38 miles south of Terrace, B.C. Unfortunately, my 35mm slides, less-than-Kodachrome, are fading. 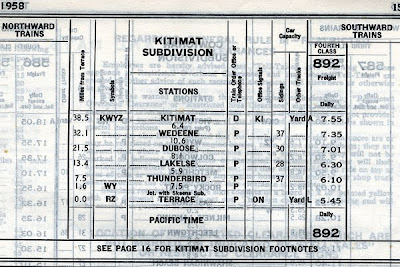 Completed in 1955, Kitimat Station was known as a Special Floor Plan #100-356, incorporating passenger and package freight. 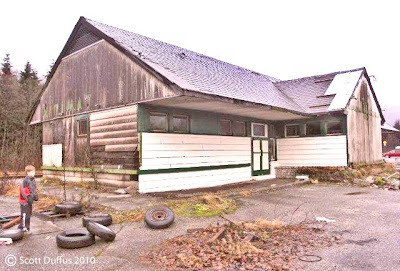 Built at a cost of $92,142, the asbestos siding and roofing would be considered an absolute "no-no" in this era! 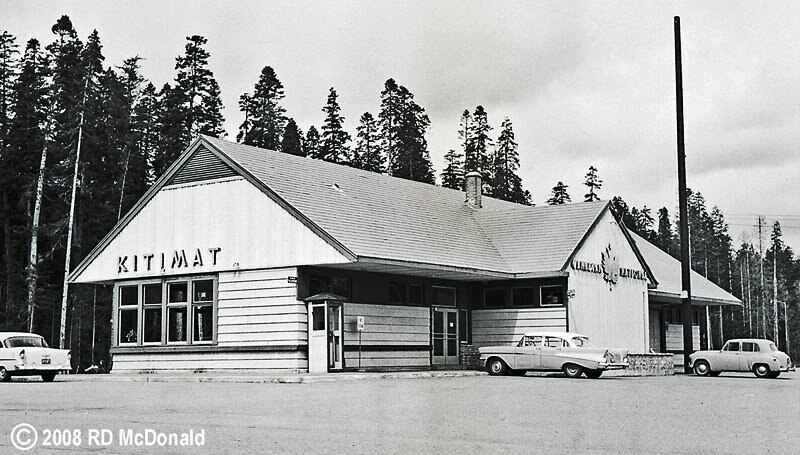 Most of the ingots cast at the smelter were shipped out by freighter. 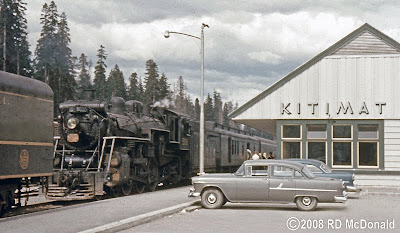 The line was serviced by a mixed freight, which served several logging shows. 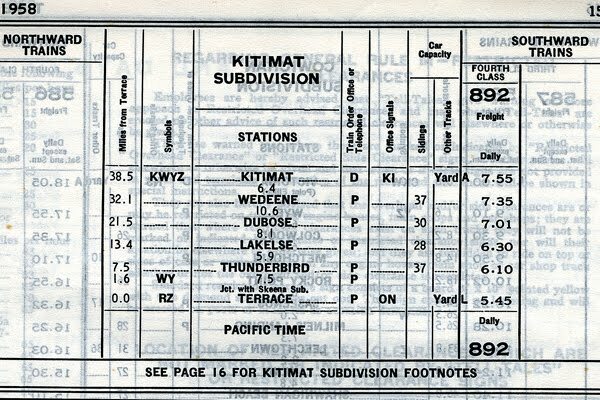 With a speed limit of 25 on the entire length, it was faster to drive your motor vehicle to Kitimat! Ron helped Dad and I set up camp for the ladies, and and bid them "fair thee well," planning on retrieving them the following weekend. My Dad was chuckling all the way back. He told Ron and I that by the time we got home, we would have received word begging us to come and get them! We dropped Ron off in Terrace and continued back to Prince Rupert. 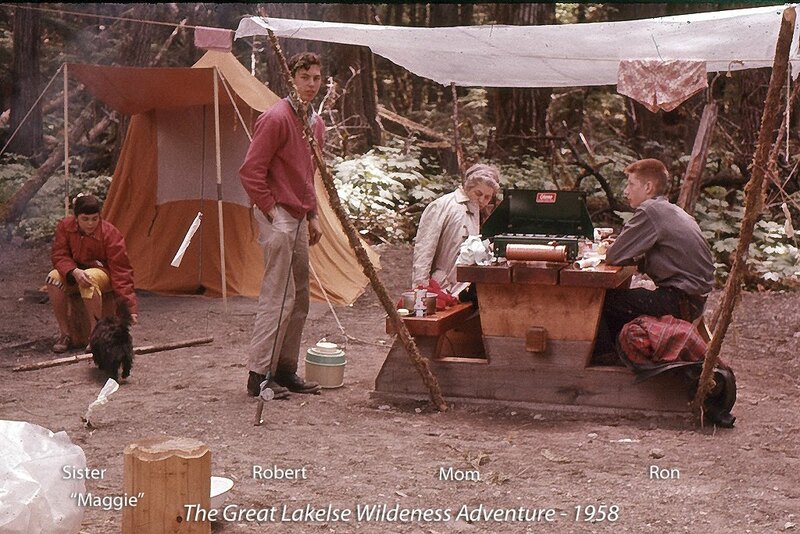 A week later, Dad and I drove up to retrieve the Happy Campers. 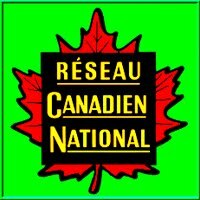 Dad was chuckling all the way back to Lakelse. 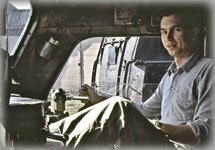 He said we would find them all packed up, sitting on the side of the highway, ready to come home. Such was not the case. They claimed they wished they could have stayed longer! But knowing my Sister as I do, I never believed a word of it! "Thanks" to Scott for sending his photos along. 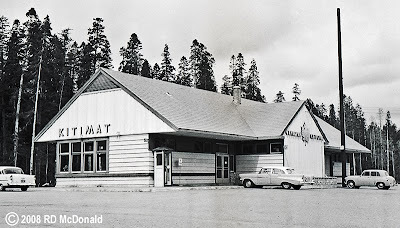 It has been interesting comparing and contrasting his current view of Prince Rupert, expressed through his blog, to the three years my family lived there, from 1957 through 1959. 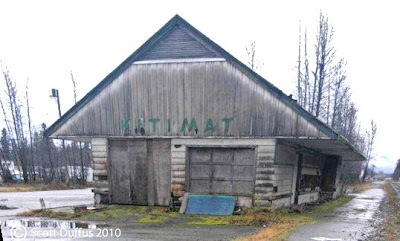 That's how things are taken care of in Kitimat. It's shameful, this town has no sense of heritage. 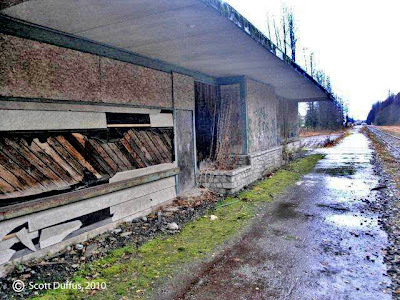 Many buildings from the 1950's stand in ruins having been unused for decades.